The Manchester Metrolink tram service network, with its 57miles of track and 92 stations, extends across the city and into its suburbs. Further development work, over the coming years, will see the service expand offering more trams, stations and easier access to Manchester. 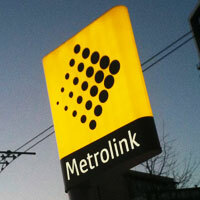 Metrolink tram stops are identified by the network sign (see image left) and there are 7 lines each using colours to identify its route. There are several standard tickets available for the tram services, you can buy a single (one-way journey) a return (there and back again) and the Travelcard. There are ticket machines at every station that accept both cash and card payments. The GMT card is ‘a pay as you go’ ticket it means you keep one plastic card instead of multiple tickets and it saves money too. All you need to do is touch your card to the reader at the start and end of your journey. The Metro Shuttle service has 3 bus routes all connected to the mainline railway stations, shopping and business districts. Piccadilly Station – China Town (Portland St) – Manchester Central (Peter Street) – Deansgate (Spinningfields) – Deansgate (St Marys Gate/M&S) – Victoria Station ­– Northern Quarter – Piccadilly Station. Piccadilly Station – Oxford Road Station – Deansgate Station – Spinningfields – Deansgate (Barton Arcade) – Victoria Station – Shudehill Interchange – Victoria Station – Deansgate Barton Arcade – Deansgate (Spinningfields) – Deansgate Station – Oxford Road Station – Piccadilly Station. Piccadilly Station – MMU – Whitworth Street West – Deansgate Station – MOSI – Deansgate Station – Whitworth Street (Palace Theatre) – Oxford Road Station – Piccadilly Station. Bus Route PlannerThe bus services connect the city centre to Manchester's outer regions and other local towns. 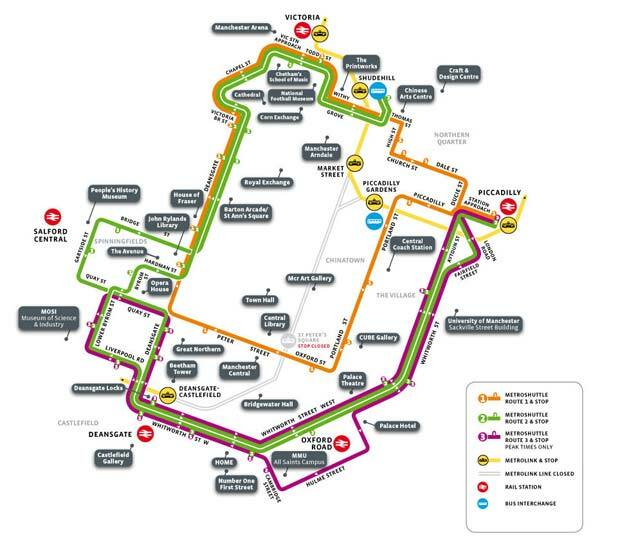 Transport for Manchester provide a 'Route Planner' however, if you making a special journey, we recommend, that you check for any Bus Services Changes that may affect your travel plans. Manchester has a vast fleet of taxi’s providing door to door service. There are two types of Taxi providers the ‘Black Cab’ and the ‘Private Hire’ companies. Black Cab’s can be hailed on the street, if their ‘TAXI’ light is illuminated or they can be found at several Taxi ranks across the city. There are taxi ranks at the railway stations and can often be found near the 5 stars hotels. Private Hire companies will require you to book the cab in advance. The driver will collect you from your location and take you to your destination in one journey. Your hotel or accommodation provider should be able to recommend a private hire taxi company. 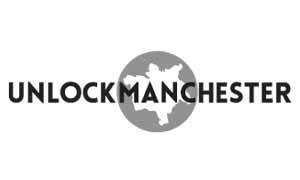 Manchester CarsManchester Cars is such a private hire company, they are based in the city centre and are one the best known taxi providers in the city.